Your wedding will be one of the most special and memorable days of your entire life. But truthfully, the wedding planning process can often be time-consuming, stressful, and expensive, too. 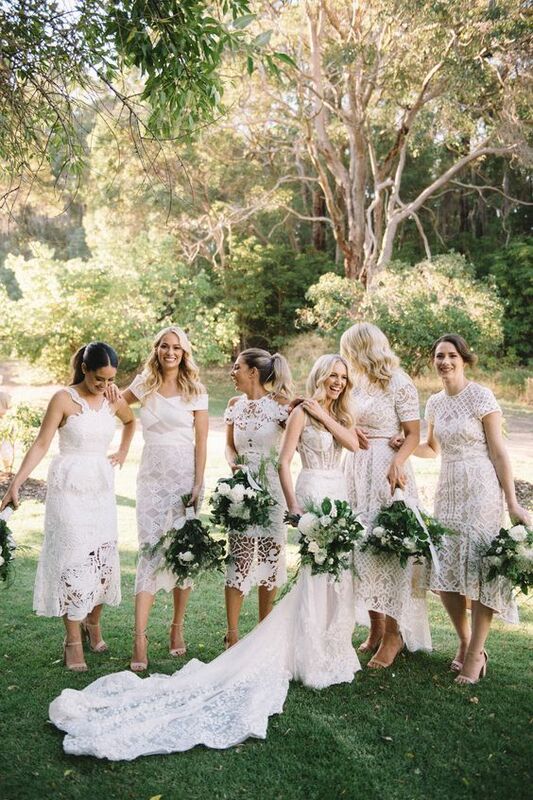 From communicating with guests to liaising with vendors and trying to keep track of the all-important budget, there’s a lot of work involved in bringing your dream day to life. We’re talking over 100 hours involved in planning the average wedding. Crazy, right?! While planning such a huge event might not always be smooth sailing, the good news is you actually don’t have to spend a fortune or tear your hair out throughout the process. And luckily, we’re here to help. If you’re the kind of bride that would prefer to streamline the planning process while being mindful of your wallet, keep reading for 14 essential wedding planning hacks to save you time, stress and money in the lead up to your big day. Wedding-related admin can take up a huge chunk of your wedding planning time, with so much back and forth email communication with each of your suppliers. Creating a separate email address purely dedicated to your wedding admin is the best way to keep all of your email correspondence in one place. A dedicated email address will make it much easier to hunt down important emails, follow up with suppliers and keep track of quotes, invoices and contracts. Plus, it keeps your wedding emails separate from your work or personal emails – for those times when you just need to “switch off” from wedding planning for a while! Utilising a wedding website is one of the best ways to save time on guest communication in the lead up to your day. By providing your guests with all of the practical information they need for your wedding, such as venue directions, transport options, dress code tips and gift registry details, you won’t have to spend time answering the same old questions over and over again. This is something you might also want to consider if you’re planning a destination wedding, or have guests travelling from interstate or overseas. Answering all of the need-to-know questions upfront will make the planning experience much smoother for both you and your guests! Planning a wedding can be an impossibly time-consuming task if you’re trying to tackle it all alone! Remember, your wedding day is an experience shared with you, your partner and your closest friends and family. It’s okay to ask for a little extra help if you’re feeling completely overwhelmed with time management. Consider delegating some of the easier tasks on your to-do list to free up some of your time for the bigger priorities. From addressing invitations to picking up deliveries, you’d be surprised how many people are more than happy to put their hand up to help you out. To get a bird’s eye view of all your tasks, use the WEDSITES planning platform so you can see who is taking charge of each to-do on your list! Whether you’re a pen and paper kinda girl or a digital guru, try to keep all of your wedding files together in one place to save time. From receipts to final invoices, seating plan drafts and invitation wording, consider utilising a cloud-based storage system like Google Drive or Dropbox, or invest in a physical wedding planner if that’s more your style. Whatever you choose, make sure everything is clearly organised and easy to access without having to waste time hunting down important files! Opting for seasonal selections for both your flowers and food can mean more money saved, with fewer overheads required for sourcing and transporting goods. Chat with your wedding vendors to learn more about what’s in season for your wedding date. Chances are, they’ll love working with seasonal produce too, and will have a wealth of knowledge to share regarding cost-effective options that won’t break the budget. 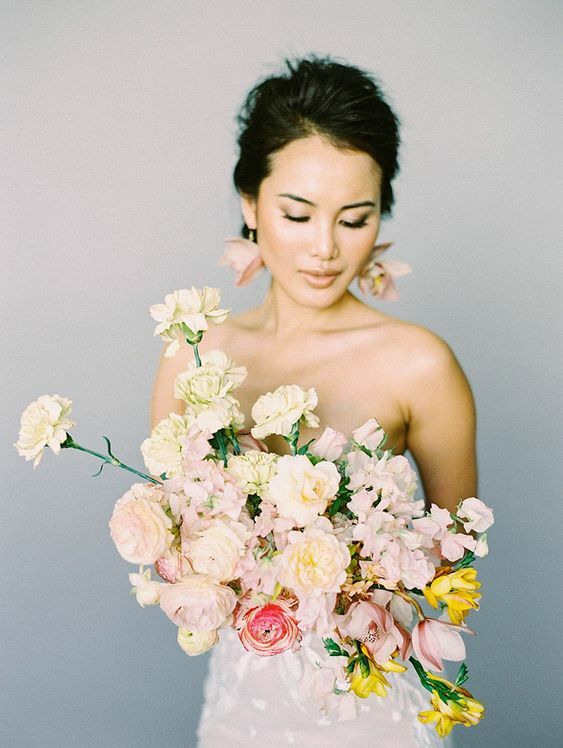 Bonus points: going seasonal with your wedding flowers and produce is always a more eco-friendly alternative, helping to reduce the environmental impact of your wedding! It’s no secret that alcohol can be one of the biggest contributors to the budget, so if you’re planning a boozy celebration then consider a venue that allows for BYO. With total control over the alcohol selection, you can stock up on specials in the lead up to your wedding and take advantage of discounts at bottle shops when they arise. Tip: make sure you check corkage costs at your venue, to ensure the savings on alcohol outweigh this! On another venue-related note, have you checked whether your venue allows external catering? If you find the in-house catering to be expensive or not to your taste, it’s worth checking if you’re able to bring in another vendor to take care of the food. It might not always be possible, but if you get the green light, consider a more cost-effective dining option like share platters or even food trucks to save costs on your menu. Wedding styling doesn’t have to be overly expensive! 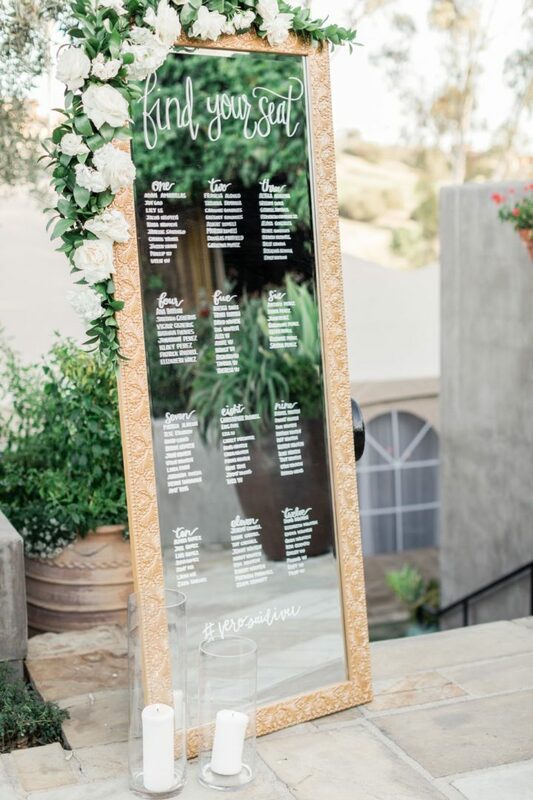 While you might not have the time or resources to go totally DIY with your day, consider taking a few statement elements on board to create an impact at your wedding. From photo booth backdrops to signage and floral installations, you can check out our favourite modern styling ideas for a DIY wedding on the blog for some creative inspiration! The wedding industry is seasonal, and venue pricing for your chosen wedding date will usually reflect this. Saturdays in peak season are always in high demand, making it the most expensive day to tie the knot. If you think your guests can swing it, there are often huge savings to be found by planning a mid-week wedding. Wedding venues will generally offer a discounted rate for mid-week bookings, and may also have a reduced rate for slower seasons like winter. Check in with your venue to see if there are any special savings to take advantage of, before locking in your wedding date. Remember, this is your day – so don’t feel like you need to follow tradition for every element of your wedding! Consider ditching any unnecessary extras that you genuinely won’t miss on the big day. If you don’t care so much about guest favours, stationery details or a plated dessert, don’t be afraid to scrap it altogether. You can then invest this money into other areas of your wedding that have a higher priority, or into your honeymoon fund. 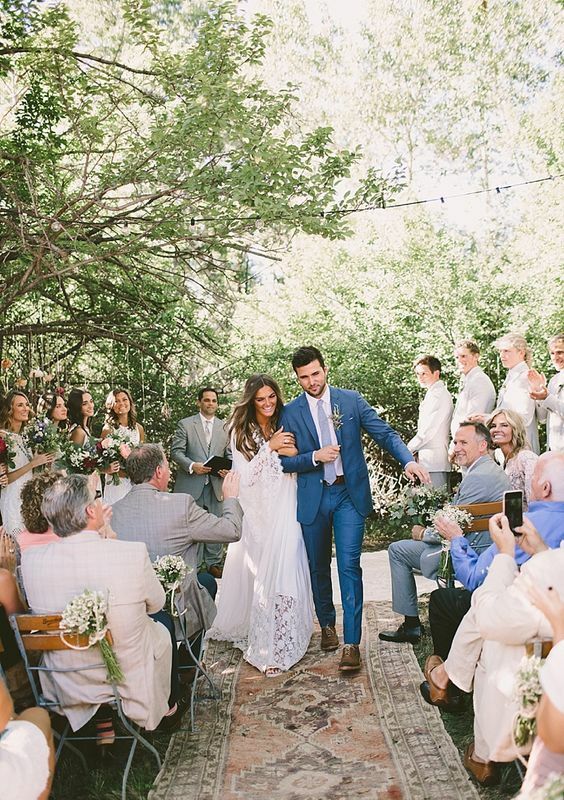 Sit down with your partner first to really get clear on your wedding vision and top priorities for the day, before deciding which elements you might be able to go without. Following up RSVPs can be one of the most stressful elements of wedding planning. With so much depending on your final guest numbers like catering, seating plans and final invoices, it can be frustrating having to chase up your loved ones so close to the big day. Streamlining your RSVPs with an online tracking system can take a huge weight off your shoulders by following up with guests on your behalf and sending friendly reminders when needed. You can learn more about how our RSVP tracker works on the blog! If you have any little ones joining you for the big day, consider creating some activity packs suited to their age group to keep them occupied. 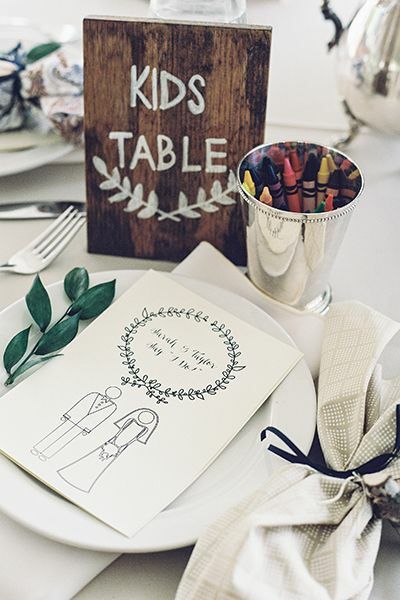 This is not only a stress-saving hack for you, but also for the parents on your guest list, allowing them to relax and enjoy your big day. Depending on your venue and budget, you could even set-up a separate “movie room” or organise a nanny to take care of the kids for a certain portion of the evening. No matter how many prayers you send to the rain gods, the weather is ultimately unpredictable. If you’re planning an outdoor ceremony or reception, make sure you have a practical wet weather plan just in case. Frantically trying to find a wet weather solution on the morning of your wedding is the last thing you’ll want to be dealing with! Once you’ve decided on your wet weather Plan B, let your wedding planner, venue or chief bridesmaid know before the big day. This way, they can take care of things without having to stress you out with a last-minute emergency. And finally, the most important and effective wedding planning hack of all – remember what’s important. Your wedding is a celebration of the incredible love shared between you and your partner, as you embark on this exciting new chapter together. Keep this front of mind throughout your wedding planning journey, and we guarantee you’ll find the experience much less stressful. And, maybe even a little bit fun!